John and caffe d’bolla are featured at CheapOair.com! 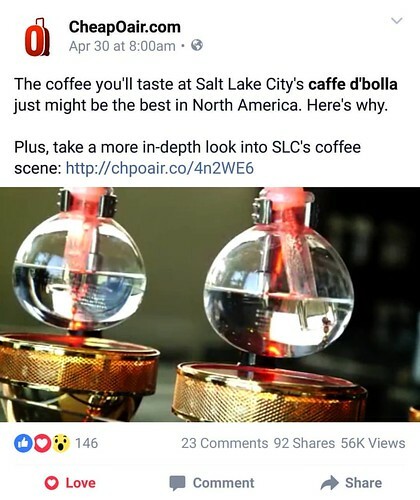 The crew was in Salt Lake City shooting different attractions for travelers and they came to the shop and had John’s siphon coffee. Watch the video clip here on facebook.